In memo to staff, JD offers broad strokes about how to bank a dystopia. Despite once admitting that he&apos;s a Democrat but like "barely," The Khaleesi of Wall Street played the 2016 election down the middle, offering critiques of both candidates while making it somewhat clear that he was more than a little discomfited by the unknown of a Donald Trump presidency. We are going through a period of profound political and economic change around the world, and American citizens showed that deep desire for change in voting to elect Donald Trump as the 45th President of the United States. We have heard through democratic processes in both Europe and the United States the frustration that so many people have with the lack of economic opportunity and the challenges they face. We need to listen to those voices. We have just been through one of the most contentious elections in memory, which can make it even harder to put our differences aside. But that makes it more important than ever to bind the wounds of our nation and to bring together Americans from all walks of life. Recognizing that our diversity is a core strength of our nation, we must all come together as fellow patriots to solve our most serious challenges… America is best when we come together with clear leadership, expertise and the political will to take on difficult challenges and get things done. No one should ever doubt the strength and resilience of our country and our democracy. 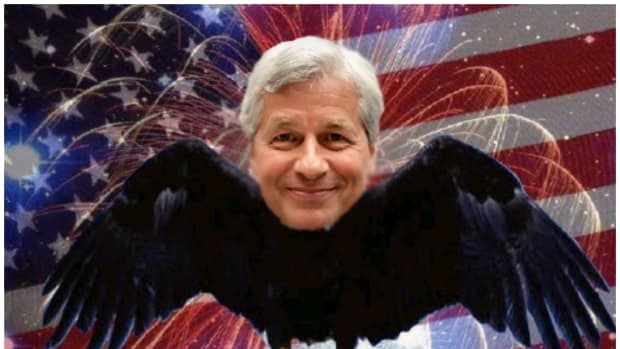 And absolutely no one - not even the barely elected new leader of the free world - should underestimate the wily power player extraordinaire that is Jamie Dimon. 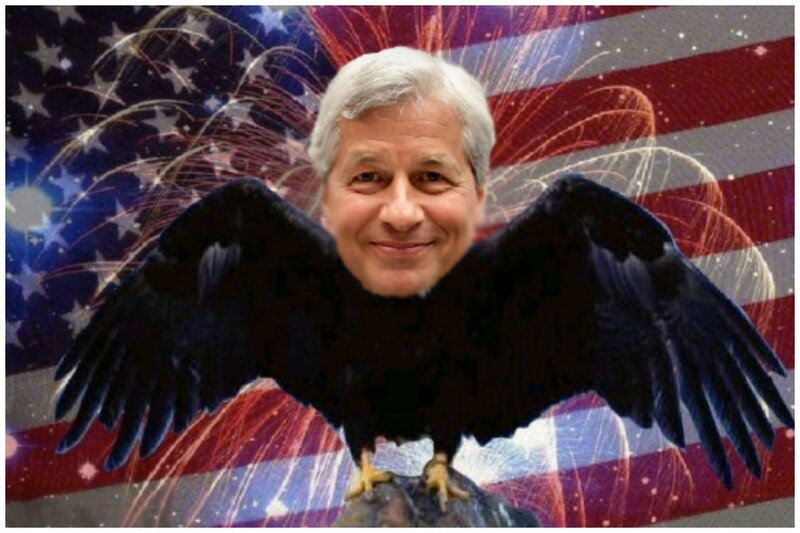 Jamie Dimon, Who Is "Not" Running For President, Admits That He Would Win Easily If He Ran, But He's "Not"
How do you type the world's biggest wink emoji? 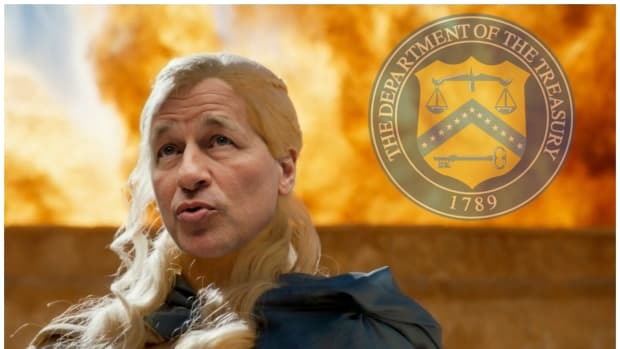 The Khaleesi of Wall Street is entering the "Dopey" portion of his pre-campaign rope-a-dope. 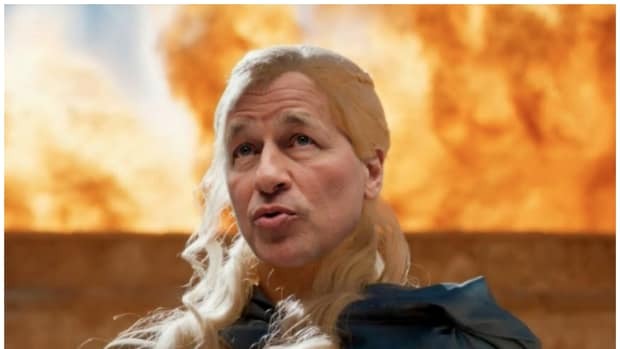 The Khaleesi of Wall Street is back! Don't front like this rumor isn't causing your body to feel the warm sensation of relief.